AUSTIN ADU6371, ADU8872, GSY117. MG ADU6371, ADU8872, GSY117. LPR, hydraulic program is sold in 76 countries, distributed from 6 countries. Function Slave Cylinder, clutch. Material Cast Iron. Thread Size 12 x 1. LPR, hydraulic program is sold in 76 countries, distributed from 6 countries. Function Slave Cylinder, clutch. MG ADU6371, ADU8872, GSY117. Material Cast Iron. Thread Size 12 x 1. Model year to: 09/1984. Part Number : WC1035BE. Brake Lines. AUSTIN 533521 ADU3873 GSY110. ROVER 22A233 533521 GSY110. Clutch Slave Cylinder PJH102 TRW. Part Number PJH102. MINI 22A233. Function Slave Cylinder, clutch. As a corporation, TRW develop, design, manufacture and distribute almost everything that contributes to passenger safety in cars all over the world. Part Number : PJH102. By including fixing screws, it’s now easier and faster than ever to replace brake discs. Because we produce every type of vehicle safety solution, no one knows better than we do how they work together to protect the passengers inside. AUSTIN 533521. AUSTIN ADU3873. AUSTIN GSY110. Weight [kg] : 0.52. 1x Repair Kit for one clutch slave cylinder. LJ 99 HD81 99 HA53P 99 H997P 99 HC20P 99 H 99 HA65P 12 H 12 HA83AA 12 H996AA 12 HA85AA 12 HC21AA 12 HL 12 L 19 L 21 L 17 L 22 D 20 T4H 36 D 35 D 15G 20TC. Technical Data. Use engines info and vehicle YMM compatibility chart for general guide. Material : Cast Iron. AUSTIN GSY117. AUSTIN ADU8872. AUSTIN ADU6371. OE Numbers. Slave Cylinder, clutch - TRW PJH102. Part Number: PJH102. (We can mark the item as a 'gift' if requested to, but we will not declare any different amount). Outdoor & Leisure. Car Care & Accessories. Automotive Parts. Part Number: 3613. Slave Cylinder, clutch. Material: Cast Iron. (We can mark the item as a 'gift' if requested to, but we will not declare any different amount). Car Care & Accessories. Automotive Parts. The clutch is what allows you to engage or disengage the engines spinning components with a non-spinning transmission system. Replacing the clutch as a whole can be an expensive task, with parts being very costly. TRW: PJH102, A.B.S. : 2680, AUSTIN: 533521, ADU3873, GSY110, BORG & BECK: BES186, Brake ENGINEERING: WC1035BE, WC3500, BREMBO: E 52 001, CAR: 9800, DELPHI: LL10469, FERODO: FHC6022, FTE: KN22087.2.1, GIRLING: 1106102, KAWE: S3500, LPR: 3500, MALÃ’: 88067, MINI: 22A233, MOTAQUIP: VSC116, PROTECHNIC: PRH5066, ROVER: 533521, 22A233, GSY110, VILLAR: 624.5526. They are also famously well tested, in-house and independently. Underpinning what we do are three core values. Empathy is all-important. ZF is a global leader in driveline and chassis technology as well as active and passive safety technology. AUTOFREN SEINSA. Part Number:D3162. Be aware that each model of vehicle may have a choice of few different part options. Such variations can apply due to upgrade designs on later chassis numbers, or the manufacturers using different OEM suppliers during production process. 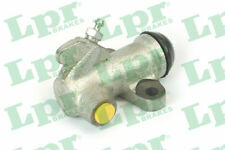 3613 LPR CLUTCH SLAVE CYLINDER. 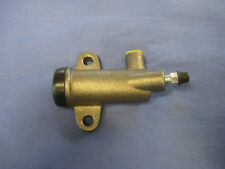 PJH102 TRW CLUTCH SLAVE CYLINDER.